Homeowners and business owners often wonder 'Are there any rebates or incentives for solar panels?' A very fair question and one that is ever changing in Alberta and Canada, especially given our new governments and evolving social atmosphere pertaining to solar panels. New solar power incentives and rebates are constantly being explored so this section is updated frequently. For the most up to date information, the best way is to contact us directly. Provincial and federal solar incentives are currently offered with varying degrees of impact, depending on what province you are in, and whether you're a homeowner or business owner. Lets break down the solar rebates by location. 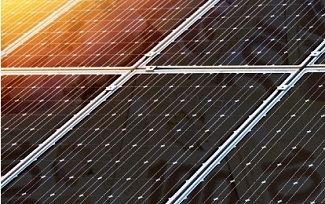 Commercial solar incentive - The only current federal solar power incentive comes to businesses in the form of increased depreciation under class 43.2 of the Income Tax Regulation. This commercial solar incentive allows for a 50% accelerated capital cost allowance using the declining balance method. We can outline how this will apply to you, but always talk to your accountant when dealing with depreciation and tax incentives. For large scale projects, contact us directly as additional funding may be available. These rebates are current as of July 2018. More rebates for solar power in Alberta are expected to be released in the near future. Kuby Energy will complete all paperwork required for any incentive that may be applicable to your solar power system. Edmonton Solar Rebate - The City of Edmonton recently announced a rebate for residential solar installations for $0.15/W up to $6,500. This rebate is in addition to the provincially-funded residential and commercial solar program. Residential and Commercial Solar Program - The Alberta government announced that it is creating a $36 Million dollar rebate program for solar installations on residential and commercial buildings. The rebate will "cut solar installation costs by 30%" for homes and "25% for businesses and non-profits." System qualifications and eligibility requirements are not yet released. Read the details on the new Alberta solar power incentive. Micro Generation - Micro generators in Alberta are subject to the Micro Generation Regulation guidelines. Homes and businesses with solar installations which are <5MW (1 Megawatt = 1,000 kW), will have their solar energy consumption vs usage monitored and credited to you on your monthly power bill. Any excess solar energy is rolled over to the next month and can be sold at the end of the year at the same rate which you bought it for (approximately $0.06/kWh). For more details read the full micro-generation regulation. ACE Green Generator Feed-In Tariff - Members of Alberta Cooperative Energy (ACE) receive a 1.85c/kWh premium for energy sold back to the grid in addition to the standard retail rate paid under the micro-generation regulation. Contact us to learn how you can receive this Alberta feed-in tariff. Alberta Municipal Solar Program (AMSP) - This program is offered by the Municipal Climate Change Action Centre (MCCAC). Municipalities and Community related organizations are eligible for this solar power rebate. Funding of up to 25% of eligible expenses up to a maximum of $300,000 is available for eligible solar power projects. Eligible solar projects are greater than or equal to 2kW and less than or equal to 1MW, must be subject to the Micro-generation Regulation, and must be completed and energized after February 5, 2016. Read the details on the Alberta Municipal Solar Program or contact us directly. Alberta Indigenous Solar Program (AISP) - This rebate is for indigenous communities and organizations in Alberta to install solar panels. Through this Alberta solar rebate, you will receive up to 80% of eligible expenses up to a maximum of of $200,000. The remaining 20% may be covered by other grants and funding. Read more on solar power rebates for Indigenous communities. Banff Solar Incentive - Residents of Banff, AB are eligible for a solar power incentive. This program will allow selected applicants to qualify for a seven year agreement with the town of Banff. Successful applicants will be selected through a lottery based system. Read more on the Banff solar power incentive program. PST Exemption - BC's primary incentive comes in the form of PST exemption for solar pv equipment and devices, including solar panels, wiring, controllers, and inverters. Various institutions in BC offer other energy rebates that don't specifically pertain to solar panel installations. To read these other energy efficiency rebate programs, click here. Net Metering Rebate - This Saskatchewan solar incentive will allow qualified applicants to receive a one-time rebate equivalent to 20% of eligible costs up to a maximum payment of $20,000. This program is offered to SaskPower, Saskatoon Light & Power, and City of Swift Current customers until November, 2018. To read more on Saskatchewans Net Metering Program, click here. Additional energy incentive rebates and programs are offered within Saskatchewan not pertaining to solar panel installations. To read about other energy efficiency incentives in Saskatchewan, click here. Good Energy Yukon - This solar power incentive in Yukon Territory offers a rebate of 20% of pre-tax material costs up to a limit of $5,000. Systems must be for residential applications, both grid-tied and off-grid solar power systems are eligible. To read more on the Good Energy Yukon solar panel incentive, click here. Other rebates and incentives for home efficiency upgrades not pertaining to solar panel installations can be found here. Residential Renewable Energy Fund (RREF) - This solar power rebate for NWT homes provides funding of up to 1/3 of system costs up to a maximum of $5,000. Business Renewable Energy Fund (BREF) - This solar energy rebate for NWT businesses provides funding of up to 1/3 of system costs up to a maximum of $15,000. Community Renewable Energy Fund (CREF) - This solar power rebate for NWT aboriginal communities provides funding of up to 1/2 of system costs up to a maximum of $50,000. Read the details about all the solar power rebates available in NWT, click here. For a complete detailed breakdown of province by province solar rebates and general energy efficiency rebates, click here. Questions, comments or concerns? We would love to hear your thoughts on this. Hit the buttons below to contact us/get a free solar quote or to read more articles.